If you're looking for some of the finest 9mm pistols - we've got them! ARE YOU LOOKING TO SELL YOUR FIREARM TODAY? If YES, then we’re interested. Whether you have modern, or older collectible pistol or rifle, we’d like to see it. WE PAY CASH FOR QUALITY FIREARMS! 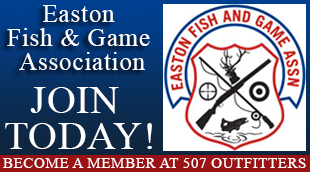 Easton store: 610-438-4780 during our business hours. If you’d like to TRADE your firearm, let us know. We carry all popular firearms. If we don’t stock it, WE’LL GET IT FOR YOU! All Buyers (United States Citizens) are required to present valid driver’s license or state issued ID card with current address, or an address update card. Non-US Citizens are also required to provide United States Permanent Resident Card (Green Card). All Firearm Sales are subject to $5 Pennsylvania Instant Check Fee. 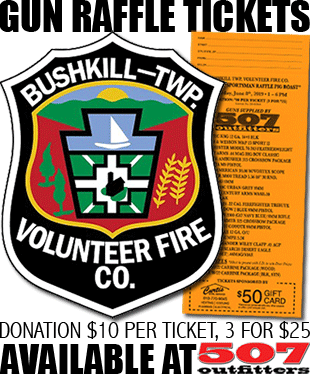 Any Denied/Research or Cancelled transactions are subject to $50 Fee. We offer FREE background check to Customers with Valid Pennsylvania License To Carry Firearms purchasing any gun from us. We offer firearms transfers ONLY to Pennsylvania Residents with valid PA Driver’s License/Identification Card. 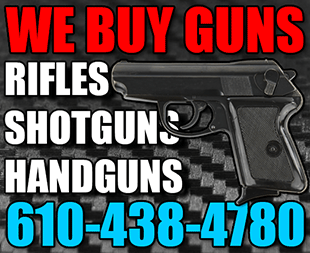 Any transfer Mon-Fri only $25* (*$15 for every additional gun on the same 4473 form). Due to busy Saturdays, we’ll charge additional $20 convenience fee for any transfers done on that day. We strongly encourage you to try having the firearm transferred any other business day. Due to heavy volume of firearms received for transfers, all guns will be available for pickup on the following business day after receiving it at the store. If firearms are received without any paperwork, we will not transfer the firearm until we receive proper documentation and log-in the firearm. When contacting the seller please, remind them to include the copy of their FFL and firearm information. If the seller of the firearm is NOT an FFL dealer, seller must include the copy of her/his driver’s license with the firearm. All firearms shipped must require adult signature. We will not be responsible for packages left at the mailbox. We ship firearms to all states where the firearms are legal to own. Please, know your state laws before ordering a firearm or contact your FFL dealer and find out if you can legally own specific firearm. We accept Money Orders, and all major credit cards. All prices shown on this website are “CASH DISCOUNT PRICES” and reflect a discount of 3% for cash payment by bank money order. We ship all the firearms using Insured United States Postal Service Priority Mail. All firearms must be shipped to an FFL dealer only. We must receive the copy of the FFL license before shipping the gun. It’s buyer’s responsibility to contact their FFL dealer and asking them to provide us with the copy of their FFL license. If we do not receive the copy of the FFL withing two weeks, we will charge the storage fee of $30 a month. If the buyer cancels the order after 24 hours, there will be 15% restocking fee. If we do not receive the valid copy of the FFL within two months, you will be automatically charged storage fee and restocking fee and your order will be canceled. There will be NO REFUNDS issued after 6 months. If for any reason your FFL dealer has to return the firearm to us (except for being damaged during shipment), we will charge 50% restocking fee. Buyer is responsible for return shipping fees. Please, make sure you want the gun before paying for it. If you are interested in one of our guns contact us! We will be glad to ship it to your FFL dealer.